The ultimate radio app for Chromecast! Slacker Radio gives you free access to highly curated music programming that you simply won’t find anywhere else, and you can customize to fit your distinct tastes. 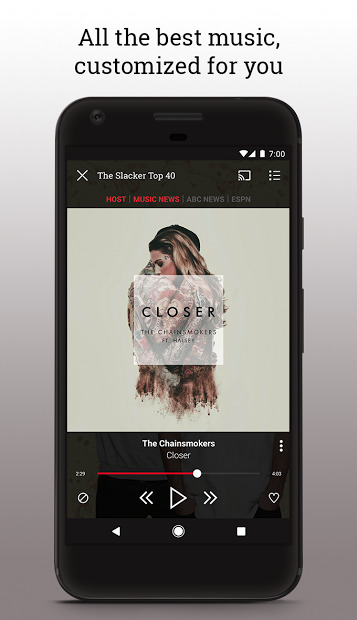 Plus, Slacker provides a patented offline mode that gives their subscribers the power to download their radio stations and listening them data-free. 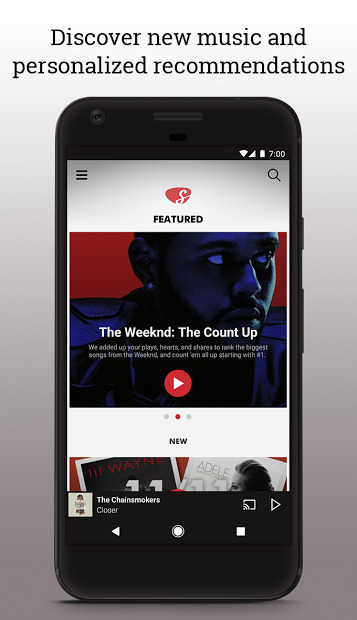 What else you get if you subscribe to the app? Besides free access to the music you love or hundreds of interactive and handcrafted music stations, you get access to interactive news, sports programming and millions of songs on-demand. Note: Some features need a subscription in order to be available.